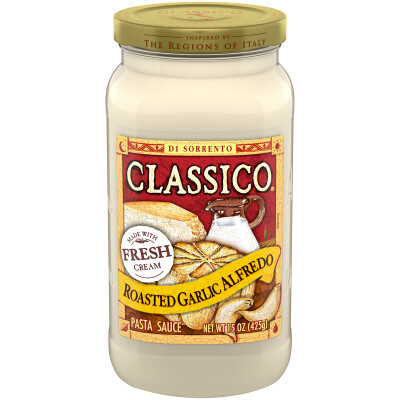 water, cream, parmesan cheese (cultured part-skim milk, salt, enzymes), modified cornstarch, contains less than 2% of the following: butter (cream, salt), sun-dried tomatoes (sun-dried tomatoes, sulfur dioxide), sugar , salt, enzyme modified egg yolks, dehydrated tomatoes, garlic powder, onion powder, xanthan gum, natural flavor, gum arabic, sodium phosphate, enzymes. 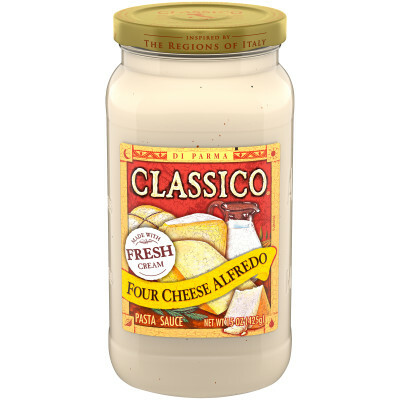 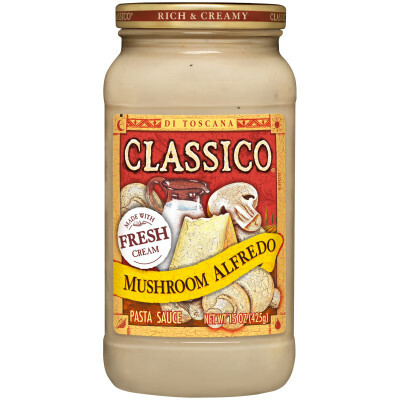 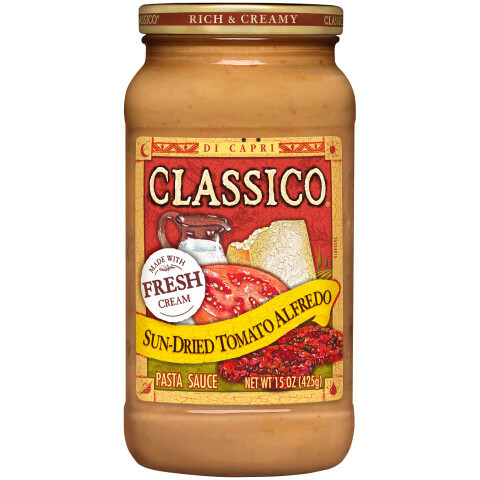 Classico Sun-Dried Tomato Alfredo Pasta SauceThe tantalizing, tempting and raving Sun-Dried Tomato Alfredo Pasta Sauce is what you are missing in your recipes. 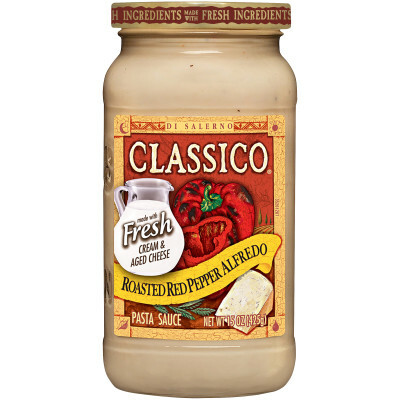 Now make mouth watering succulent pasta with lavishing sauce to add authentic taste of Italian cuisine.Perfect Fusion of Genuine FlavorsThe yummy and appetizing fusion of original ingredients and flavors in Italian style are going to satisfy your hunger which will have you craving more.